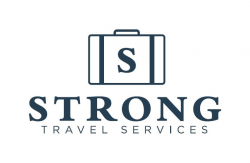 Strong Travel Services, Inc. is a highly respected leader in the luxury travel industry. The Strong family has been providing a full range of luxury travel products and services since 1975. Our company offers certified travel consultants who are experts in providing both leisure and corporate travel solutions. Customized trips are our specialty with proven results and expertise to make all your travel arrangements efficient and cost effective.